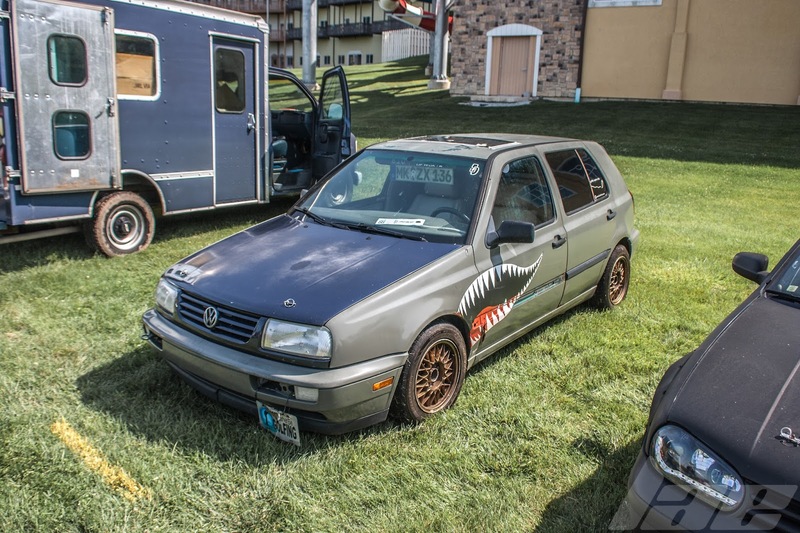 At NoWo, and, in fact, every Euro-only car show I've been to, the Golf / Rabbit has been the most popular car, and for good reason. 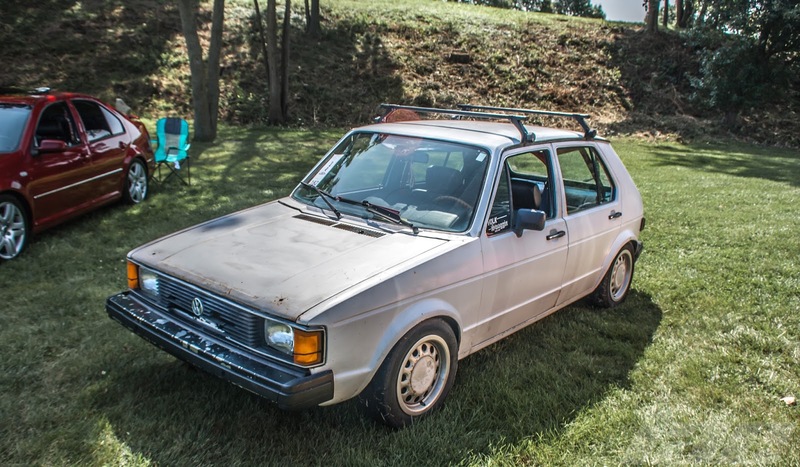 The first variant of the Golf, known as the Rabbit in the US, was built from 1974 - 1983. 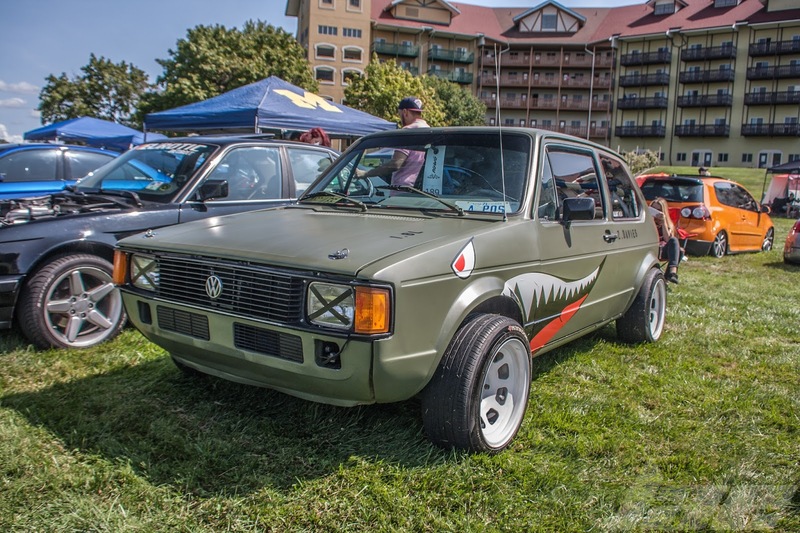 All of the Mk.1 Rabbits sold in the US came with engines ranging from a 1.5 - 1.7, and with gas and diesel options. 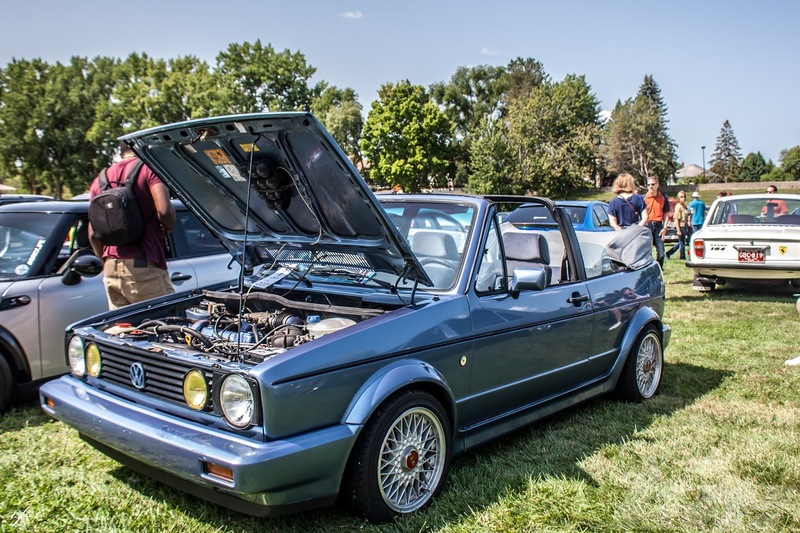 Thie Golf was available in a 3-door hatch, a 5-door hatch (pictured above), a 2-door cabriolet (also pictured above), and a 2-door pickup / coupe utility (known as the Caddy outside of the US). 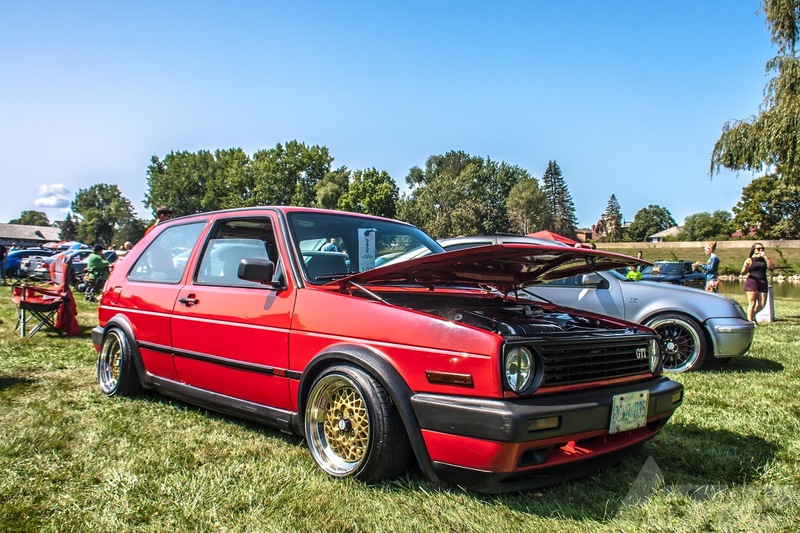 The Mk.2 Golf / Rabbit was built between 1983 and 1992, and was available in 3-door, 5-door and 2-door cabriolet body styles. 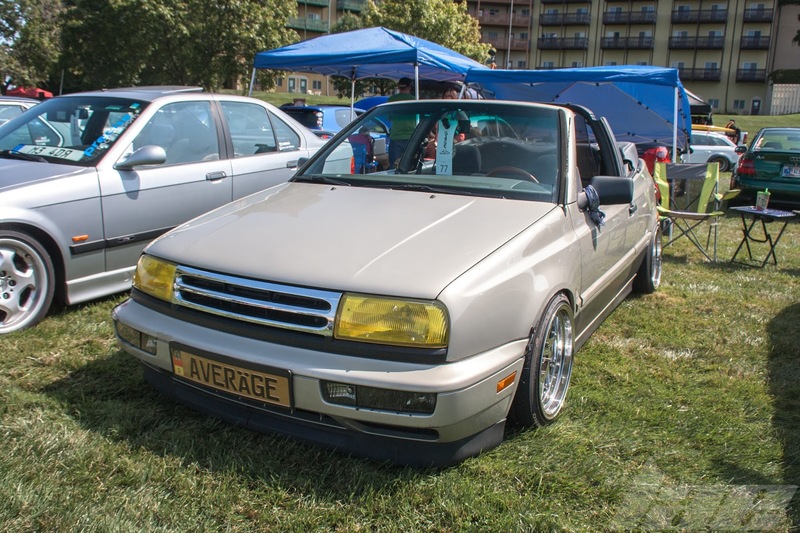 The Mk2 (The car pictured is a Mk.1 cabrio with updated front bodywork.) was available with powerplants ranging from a 1.3L up to a 2.0L and even an Electric motor in certain areas. The Mk3 Golf, made from 1992 - 1999, came in 3 and 5 door hatch configurations as well as a 5-door wagon and a cabriolet. These cars had a bit wide engine range. From the 1.4L 4-cyl up to the 2.9L VR6. 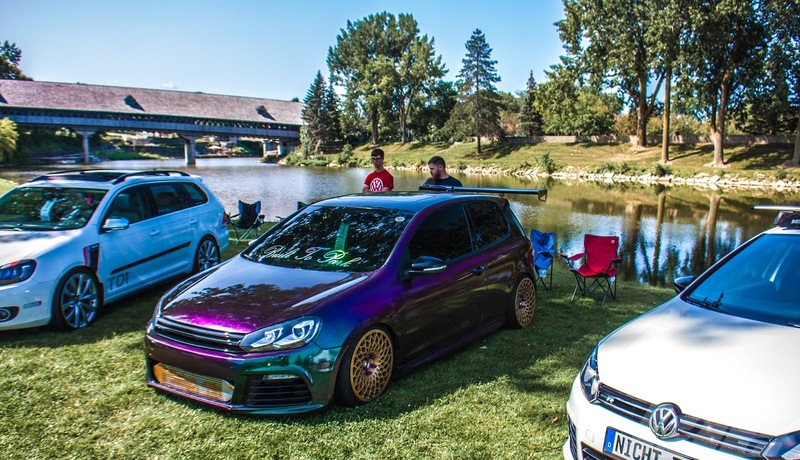 The Mk.4 Golf was by far the most popular at NoWo. The Mk.4 was built from 1997 - 2004, and, like the previous variants, shared many components with the Jettas. There were several variants of the Golf Mk.4. All the same as prior versions, minus the Cabriolet. 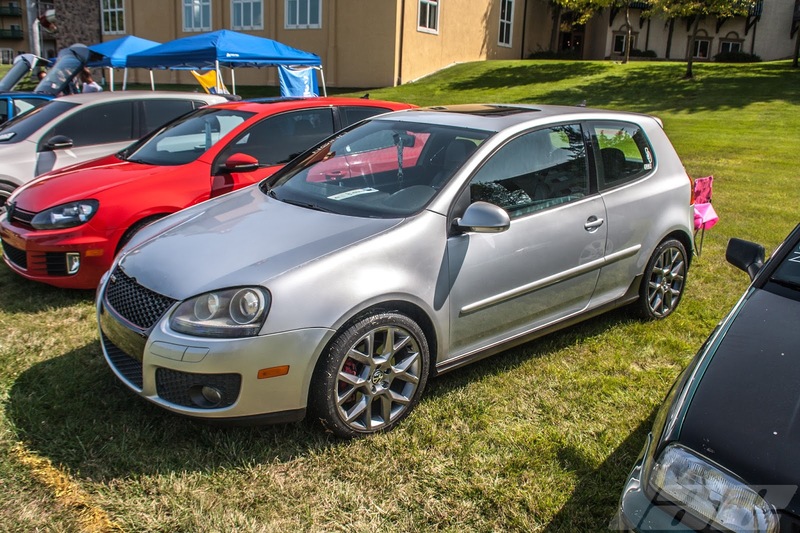 But, unlike previous versions, the Mk4 had an all new trim level above the GTi, called the R32. (Not to be confused with the R32 Skyline). 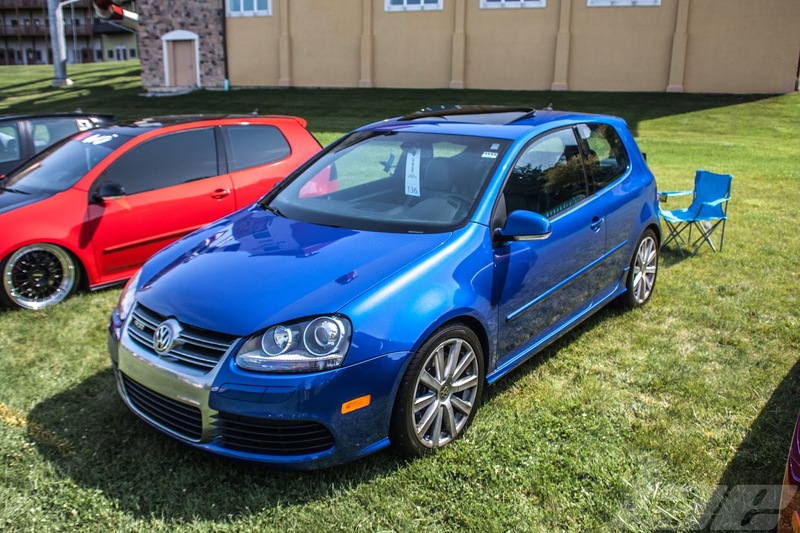 The R32 was unique from the GTi for 2 reasons. 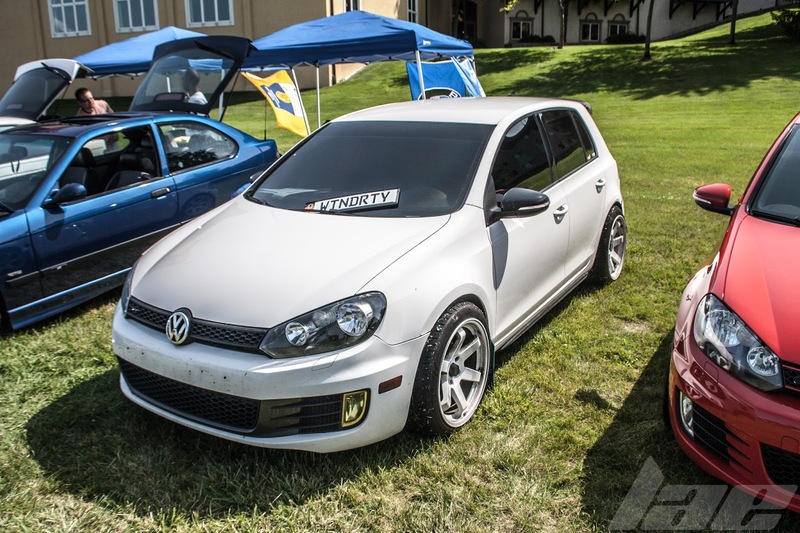 The R32 is All-Wheel-Drive, as opposed to just FWD, which continued through the Mk5. The other major diference was the engine. 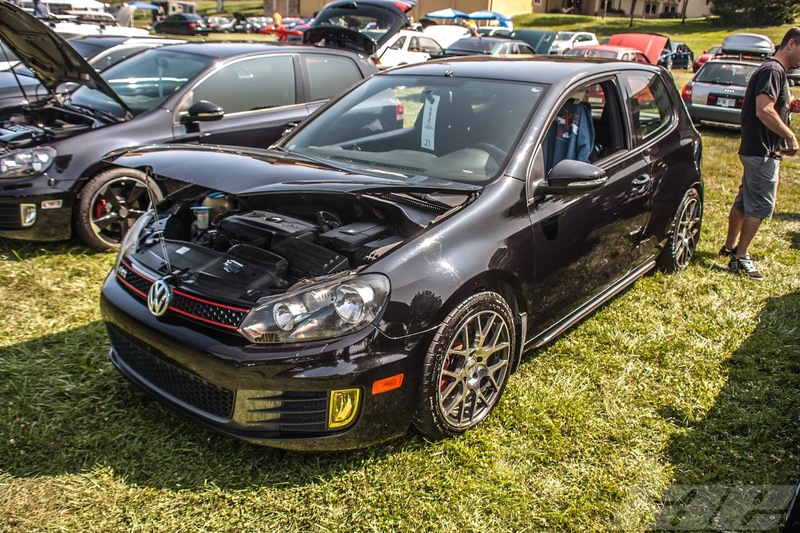 Golf GTi's have the 2.0L inline 4. 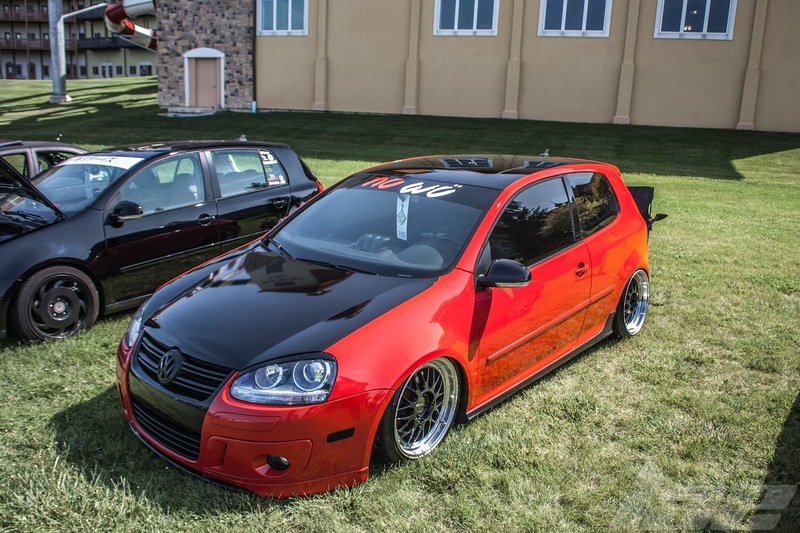 The R32, on the other hand, has the 3.2L VR6 Inline / V6. 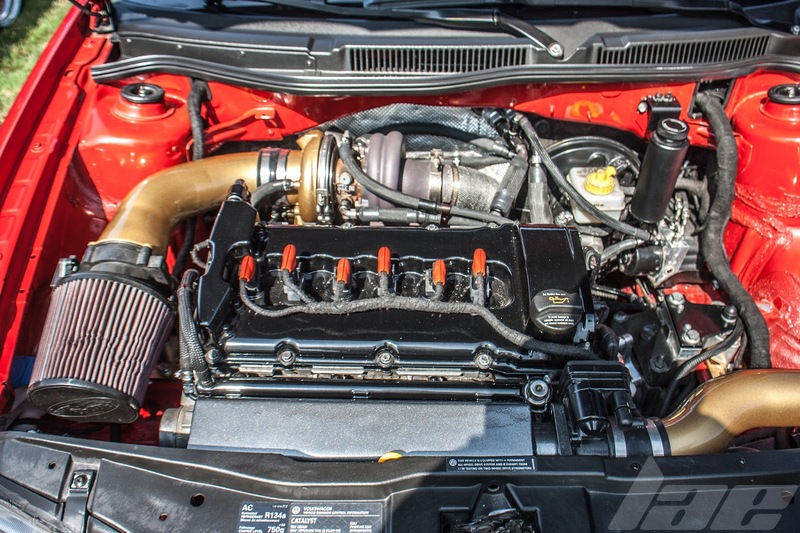 The VR6 is unusual in that, technically, it's a 15 degree V6, but there's only one cylinder head. The R32 wasn't, as far as I know, offered with a turbo. The owner has added one to this car. 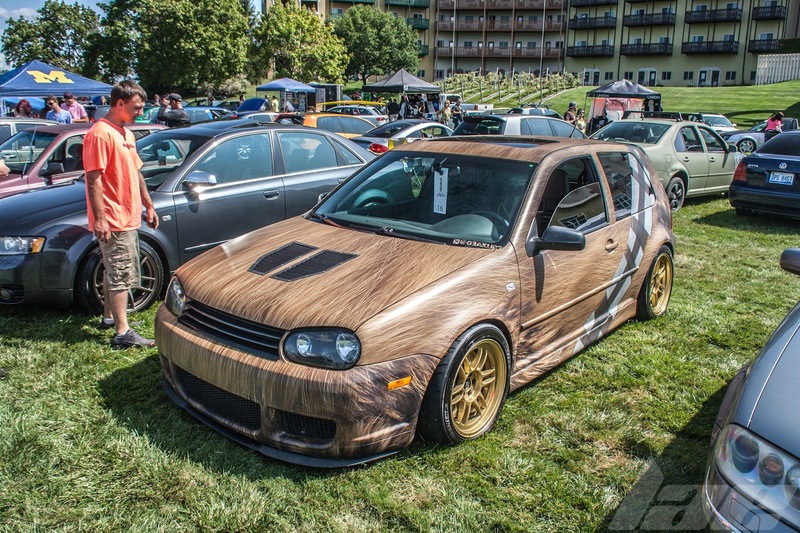 This formerly red R32 has been wrapped to resemble Chewbacca, from Star Wars. Fitting, considering that the exhaust note slightly resembles the noises made by Chewie. 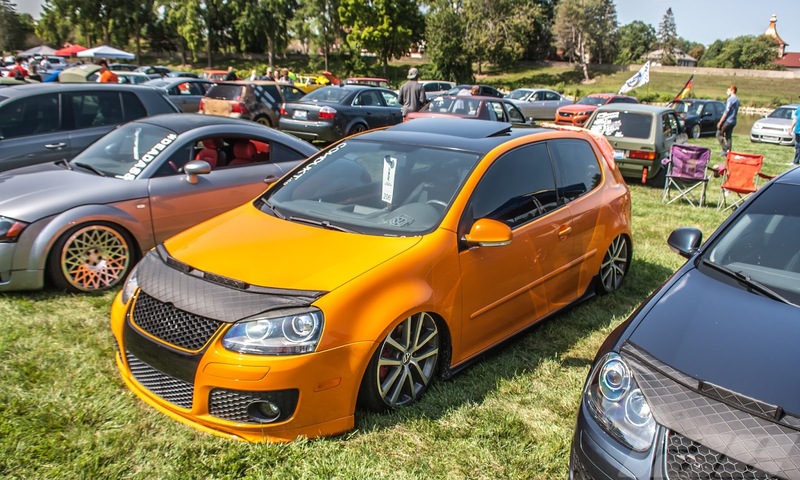 The Mk5 Golf, built from 2005 - 2009, saw a major redesign. You might notice the Mk5 as one of the starter cars in the first Need for Speed: Most Wanted. 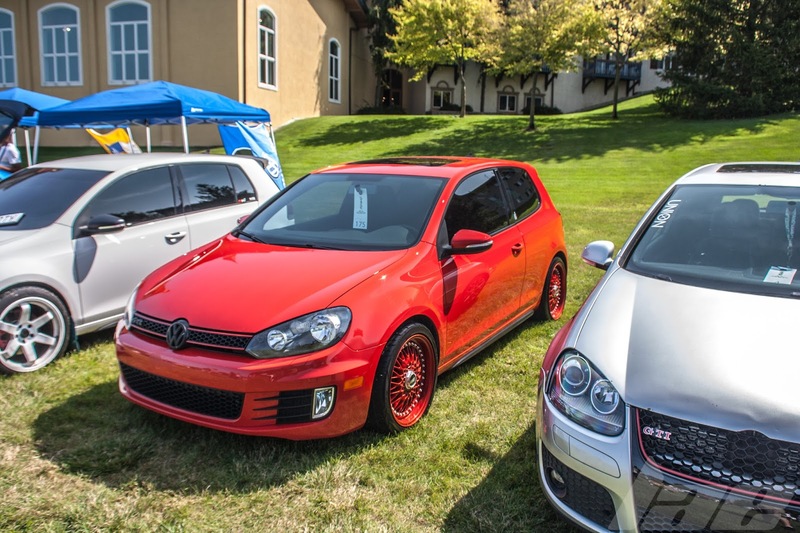 Not as common as the MK4, the MK5 had 3 variants of the 5-door, and one 3-door bodystyle. The Mk5 had engines ranging from the 1.4 to the 3.2. 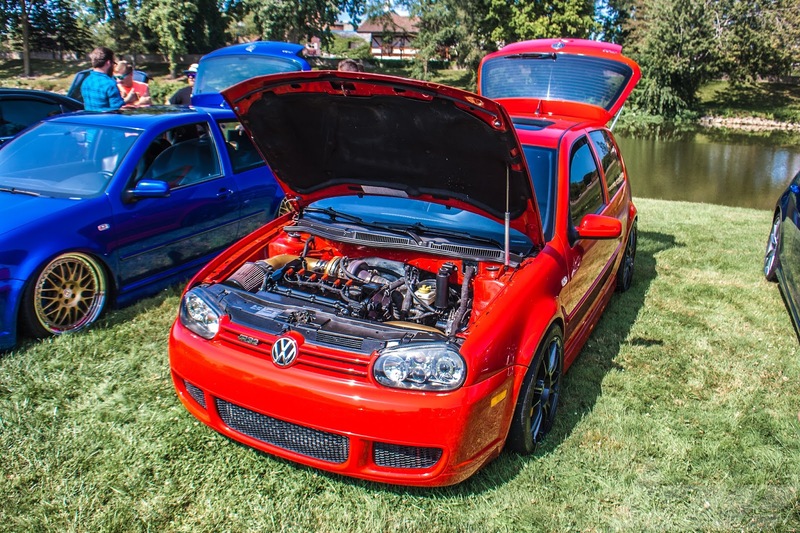 This R32 has the 3.2L VR6, much like the Mk4. It's also All-Wheel-Drive like the previous version. 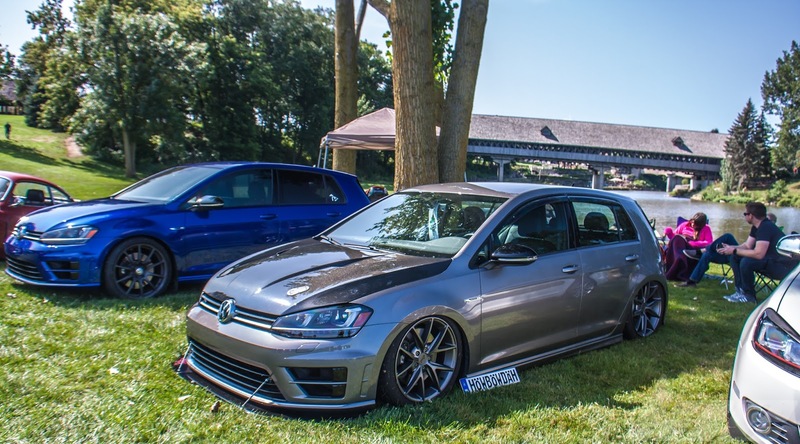 Made from 2009 - 2014, the Mk6 Golf offered similar trim levels, engines and drivetrain setups to the MK5, though the VR6 was dropped, along with the R32 trim level, in favor of the Golf R (not pictured), with the 2.0L Turbo and All-Wheel drive. 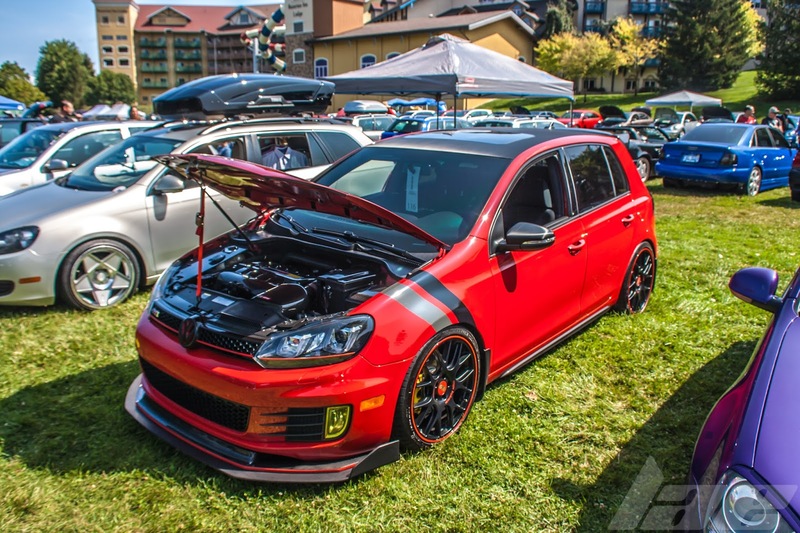 Made from 2014 to present, the Mk7 Golf showed few changes over the Mk.6 that I can find. Thanks for reading, guys! Please, check back often for more content.